FL Studio 12.5.1 is out now! We're also happy to announce the native, 64-Bit, FL Studio macOS/OS X BETA is open for public testing (link below). Finally, work is well underway on FL Studio 20, and Beta testing will be open to FL Studio owners, soon. Drop into Looptalk to see what happened to FL Studio 13-19? Get FL Studio 12.5.1 HERE! Browser - Samples can be sent from the Browser to the Playlist with (Ctrl+Middle-click) and (Ctrl+Enter). Browser recognizes plugin presets for more Image-Line plugins. Channel Sampling Robot - Now defaults to Shared data folder when exporting a DirectWave program file. DirectWave - Added refresh button to Browser. Now defaults to Shared data folder when saving a Program or Bank. Export - Settings for Project export to Audio file (File menu) and for Pattern render (Picker Panel / Clip Menus) are now saved separately to avoid confusion. Formula Controller - New functions: Atan2, Inter and InterNoSwap. FPC - Rename/Color/Icon/Settings popup-menu when you (Alt+Right-click) a Pad. Fruity Dance - Sprite sheet now has a higher resolution for your 4K viewing pleasure. Piano roll > Menu > Helpers - Scale highlighting scales renamed to make the menu easier to use. Playlist - New 'Playlist menu > Edit > Dropping to track header locks to content' option. New solid color option - View > Behind clips > Solid (so pretty). Drag and drop now shows a 'shadow' indication of drop location and length when dragging Clips onto it. 64 Bit/Native Plugins - A number of older 32 Bit VST format plugins have been converted to FL native format 64 bit, including: 7 Band EQ, Bass Boost, Center, Chorus, Compressor, Delay, Fast LP, Filter, Flanger, Free Filter, Mute 2, Phaser, Phase Inverter. Resulting in significant CPU savings when used in FL Studio 64 Bit. ZGameEditor Visualizer - Option to type in custom FPS for video export. (Right-click) the Frames per second menu. Additional changes & Bugfixes - Many! See the What's New here. WHAT WAS NEW in FL STUDIO 12.5? If you missed the FL Studio 12.5 update, see what's new here. MAC USERS, FL STUDIO FOR MACOS/OS X IS NOW IN PUBLIC BETA. 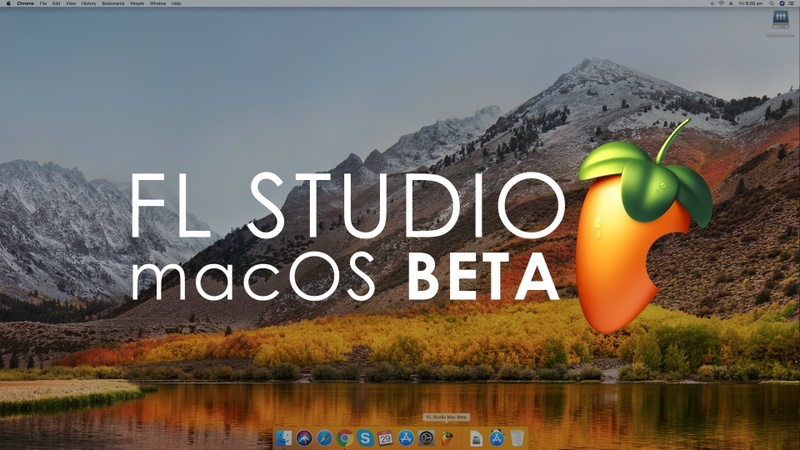 FL Studio is now a native macOS/OS X 64-Bit Application: You can test the 12.5.1 features listed above using the Beta installer here. Customers, please drop into the Beta Test forum and let us know what you think.